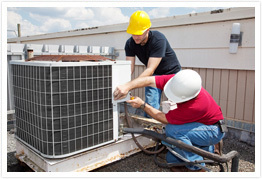 When your home or business is hit by a problem in its heating or air conditioning system, you need quick, efficiently help. For all of these needs, the expert technicians at Tustin Plumbing, Heating, and Air Conditioning are on call 24 hours a day, 7 days a week. When your home or office needs prompt, skilled attention, call us, and we'll respond without delay. With over 50 years experience serving communities in Orange County, you can count on Tustin Plumbing, Heating, and Air Conditioning for expert, efficient emergency service. You don't have to sacrifice comfort, safety or efficiency; call us whenever your home or business needs prompt, skilled attention.